From winning during the time attack during the JP 7-Year Anniversary Countdown stream, Ea, Baddie, and Shynee are getting buffs. Active max cd buffed 15 -> 13. 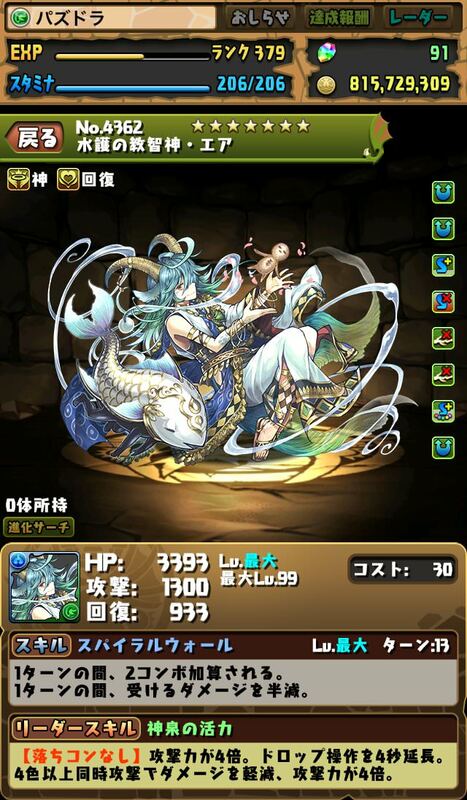 Active: 3x ATK for Healer for 1 turn. Change Dark to Heal. LSkill: 1.5x All stat Healer. Increase orb movement time by 3 seconds. Increase ATK when 5+ combos matched, up to 5x ATK. 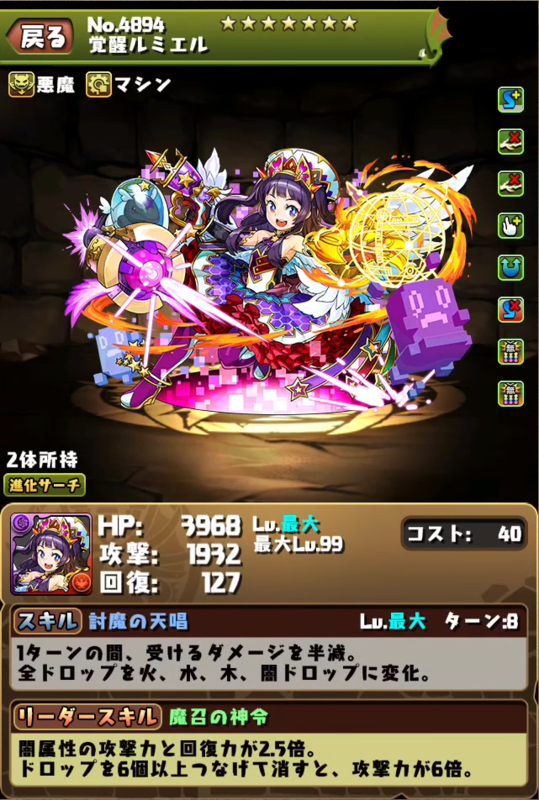 Active: 3x ATK for Devil for 1 turn. Change Heal to Dark. LSkill: 1.5x All stat Devil. Increase orb movement time by 3 seconds. Increase ATK when 5+ combos matched, up to 5x ATK. Active: Change Light to Heal. Increase combo count by 1 for 1 turn. 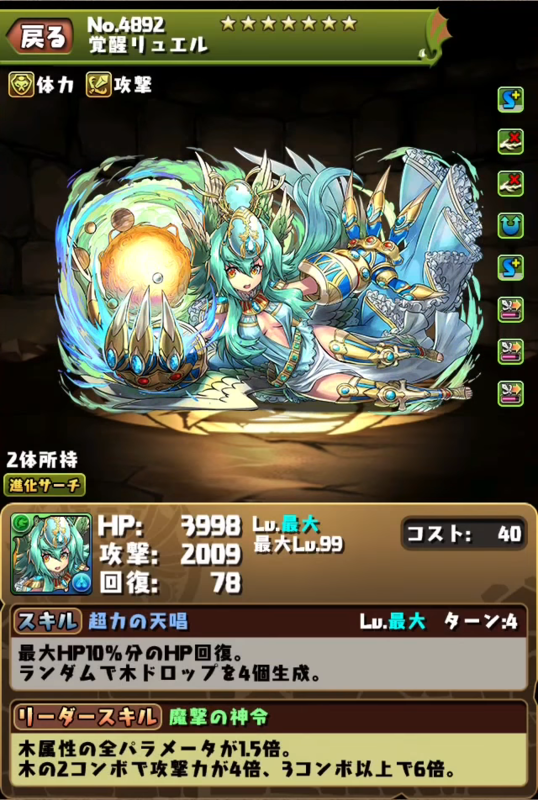 LSkill: 1.5x HP & 3x ATK for Fire. 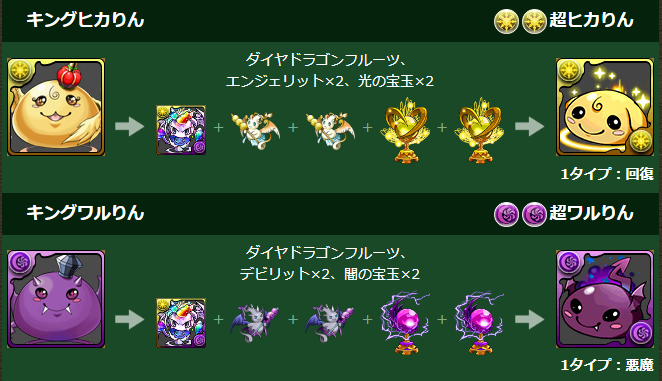 4x ATK & damage reduction when 2 Heal combos matched. Active: Reduce Bind and Awoken Skill Bind by 5 turns. Change all orbs to Water, Wood, Light & Dark. 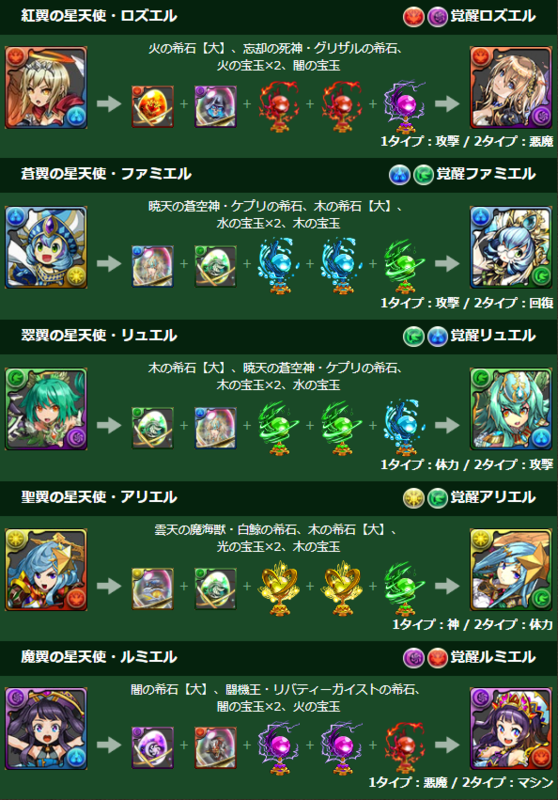 LSkill: 2x HP & ATK for Water. 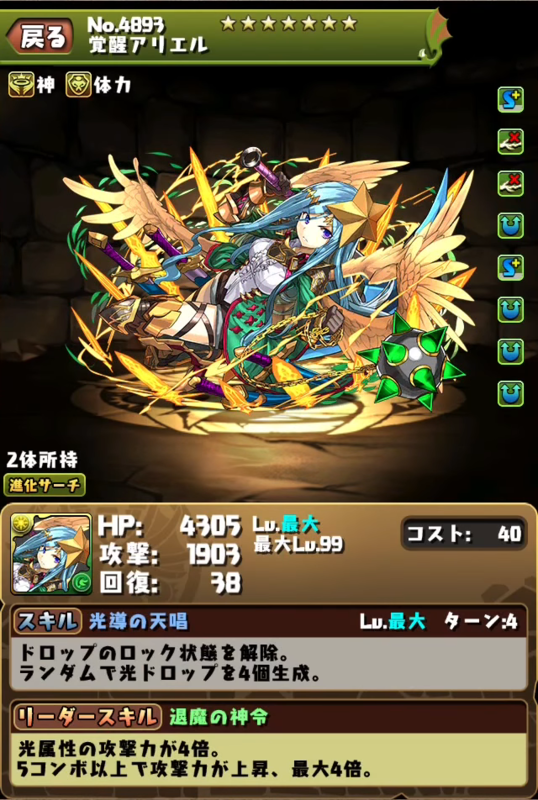 6x ATK when 4+ attributes matched. Active: Recover 10% of max HP. Randomly spawn 4 Wood orbs. LSkill: 1.5x All Stats for Wood. 4x ATK when 2 Wood combos matched; 6x when 3+ Wood combos matched. Active: Remove Orb Locks. Randomly spawn 4 Light orbs. 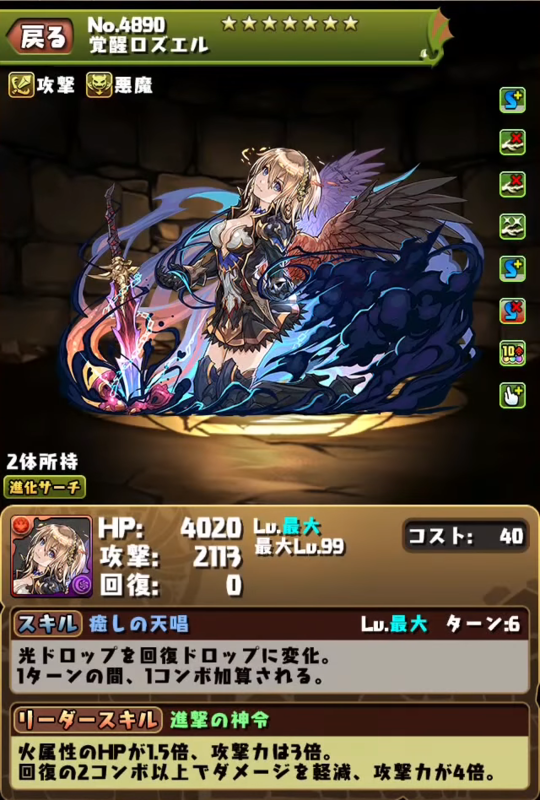 LSkill: 4x ATK for Light. ATK increase when 5+ combos matched, up to 4x ATK. Active: Reduce damage taken by 50% for 1 turn. Change all orbs to Fire, Water, Wood & Dark. 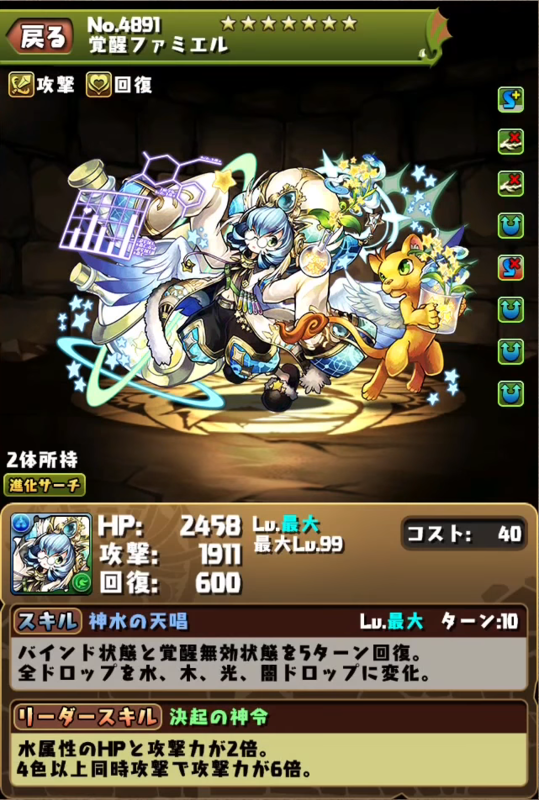 LSkill: 2.5x ATK & RCV for Dark. 6x ATK when matching 6+ connected orbs. When is this coming to NA??!?! Riot goes out of their way to appeal to the LGBT community, to make sure it's known that Neeko's sexuality is known. Yet, they do nothing of the sort for other characters of other sexualities. This is not only unequality, it is blatant favoritism and discrimination against people who do not belong within the unique minority. Did we just get a Fox News Tucker Carlson rant about how video games are discriminating against straight, Christian, white guys? New Angel 2 ults are actually pretty solid, quite meta. Wow, Famiel's active is good for U&Y teams. Rozuel looks cool. Think I'll bring her whenever I'll use 7X6 boards. Wonder if Halloween version will get an upgrade like this next year?